A convicted murderer has gone on the run from prison during an unescorted day release. 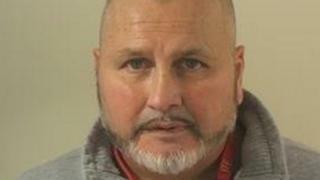 Samuel McKinley, 57, has absconded on a number of occasions and last fled from custody in February. He was jailed for life for the murder of a man in Southampton in 1996 and is serving his sentence at Maghaberry. Originally from the Shankill area of Belfast, police said he also has connections in east Belfast and in the Ards peninsula. He was let out on day release on Thursday but failed to return. Police said that since 2002 McKinley had “absconded from day release or breached his pre-release / licence conditions on a number of occasions” and appealed to anyone with information to contact officers. A spokesperson from the Northern Ireland Prison Service said: “Since his return to custody (in February) Mr McKinley has been granted four previous periods of temporary release, in response to recommendations from the Parole Commissioners. “The Northern Ireland Prison Service are working with the Police Service of Northern Ireland to return this prisoner to lawful custody.